We are upping it into the mainstream, namely beginner acoustic guitars in the reasonably pricey $500 range. In this category, guitars come with exquisite finish, which is more to do with aesthetics than anything sound-related. Speaking of which, the wood quality is matched with the ideal shape and design to beget a gorgeous sound and tone from acoustic guitars under the dollar-500 mark. The ‘playability’ or ‘action’ of a guitar gets better with price; the more expensive the instrument the better you can play. You will find that you do not need to press d﻿own with your fingers all that hard. You are not going to build finger strength as a beginner anytime soon anyway. Your biggest challenge will be to choose between solid wood or laminate. The former steers toward the more expensive side while cheaper ones come with the latter design. You get better ﻿sound with solid wood anyway, if you can afford it. All in all, the under-500 mark is a great investment range because it is not overly pricey nor is it too cheap. 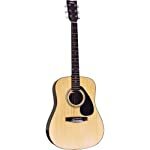 Let us explore our top five choices for best acoustic guitars for beginners under $500. By way of personalization, you get a logo gig bag with Seagull embroidered on it; it costs $49 elsewise, but is complementary with this bundle. 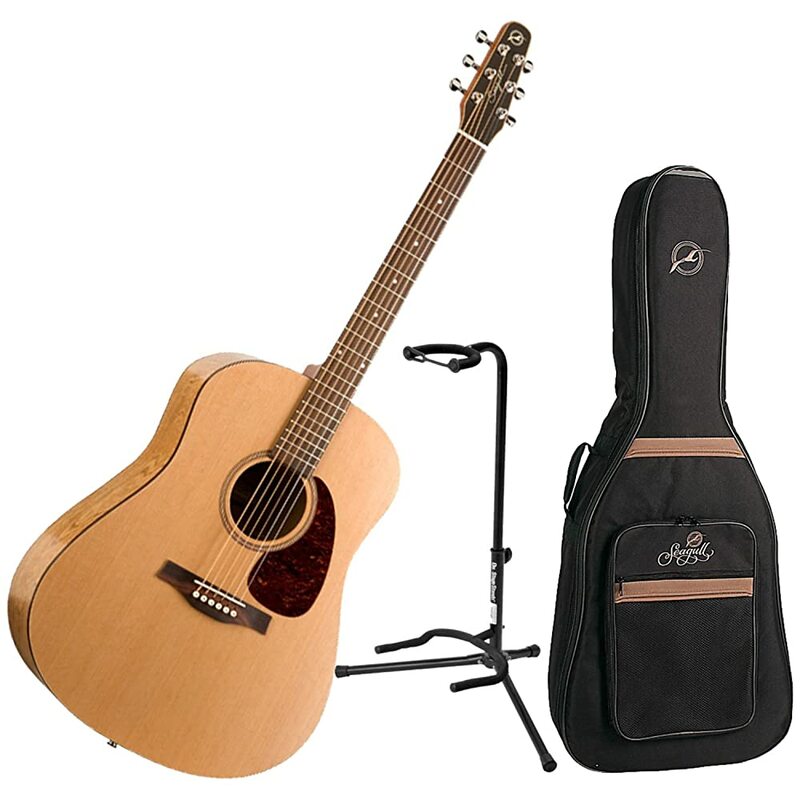 You also get a free guitar stand, meaning the price solely determines the multiple features and possibilities brought to you by this guitar, exclusive of the freebies. An S6 original, this Seagull marvel comes designed with a genuine lacquer finish, hand-finished neck, and a Cedar top that brings out the best sound value among guitars in this price range. This guitar is is so close to perfection, a great choice for beginners. From the campfire, all the way to the concert hall and to the couch, the Taylor GS Mini Mahogany GS Mini Acoustic Guitar assures everyone of real fun. The bluesy- sounding body made from mahogany is what makes this model to be distinct from the regular GS Mini. With the GS award winning body shape, the guitar doesn’t skimp on sound yet it packs lots of tones into a portable size that’s comfortable to carry and incredibly fun to own and to play. It features the Taylor’s straight & stable NT patented neck that makes the player to enjoy signature playability and intonation. 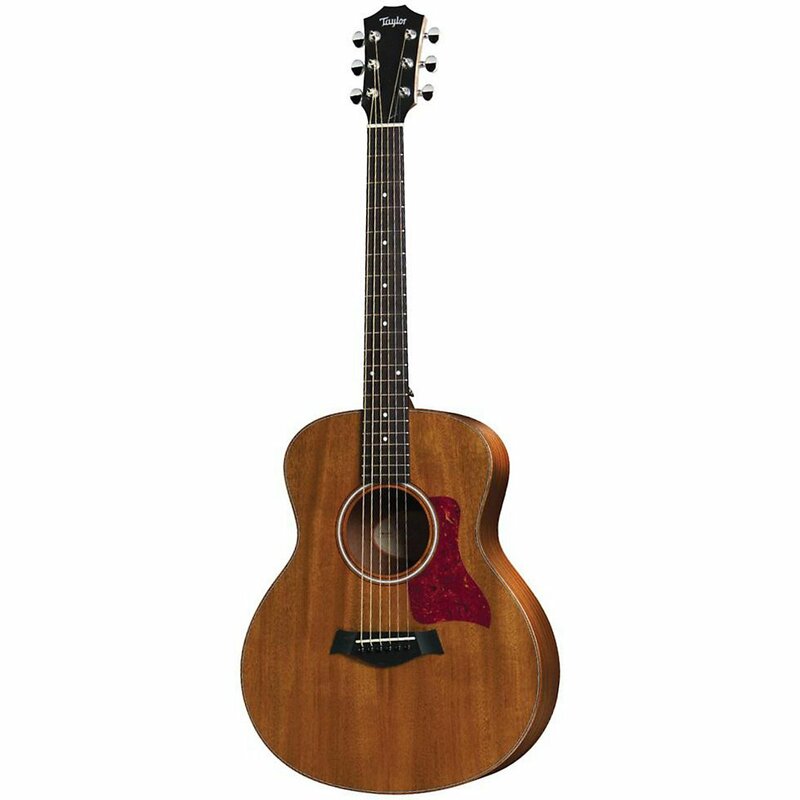 Therefore, wherever you are, there is no guitar that will be better to play than the Taylor GS Mini Mahogany GS Mini Acoustic Guitar. With sides and back made from gorgeous Sapele wood and solid Sitka spruce for the top, this guitar stands out in any crowd because of its elegance and simplicity. Sized a 15/16 Dreadnought, this acoustic instrument has a 24 7/8 scale length (inches). 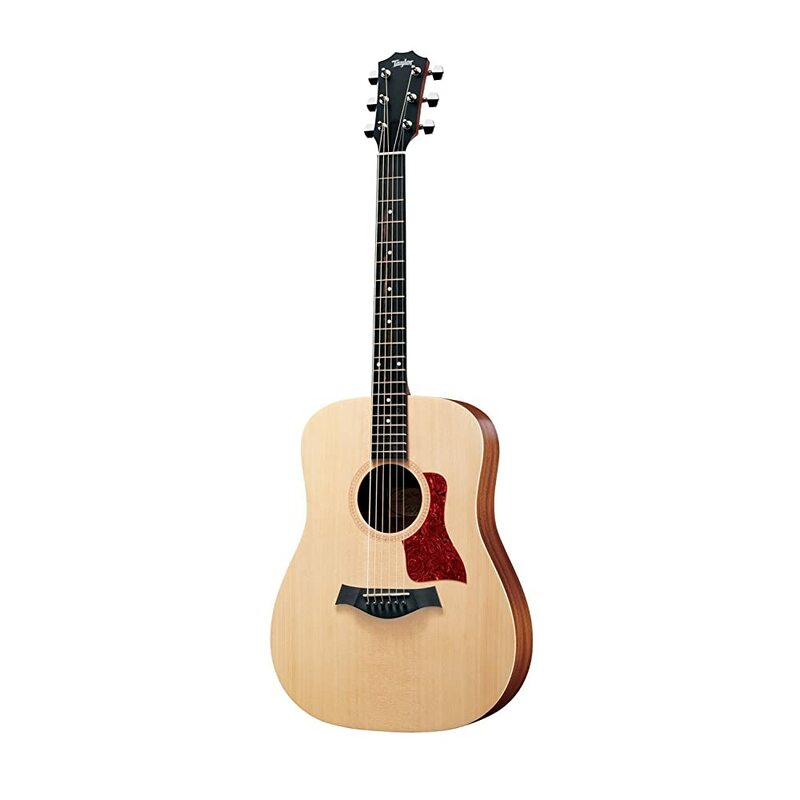 Known for a beautifully full voiced sound output, this guitar is sure to impress and inspire. You also get a lightweight gig bag to go with this purchase. Though laminated, it is much more durable than some all-mahogany guitars on the market. It is not a big surprise that the Taylor company caters to stars like Mick Jagger, Dave Matthews, the late and great Prince, and Taylor Swift. This certainly goes to show that this guitar is good for beginners as well as advanced strummers. Between the beautiful natural finish and solid Cedar top, you have a guitar that sounds flawlessly good. The rosewood fingerboard is as comfortable to use as it is appealing to look at. A two-way (or dual action) truss rod makes for simple and flexible string height calibrations to suit your learning pace and style. 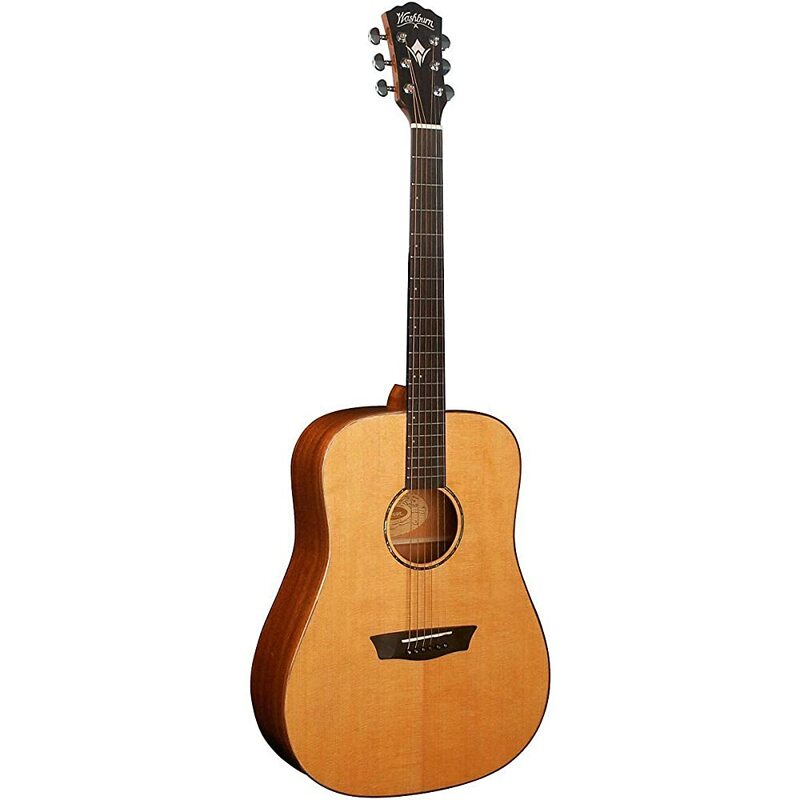 The back and sides of the guitar are solid mahogany; this adds to the durability and sound quality value. The quarter sawn scalloped bracing makes the ensemble sturdy and strong. The neck is mahogany finished with satin. 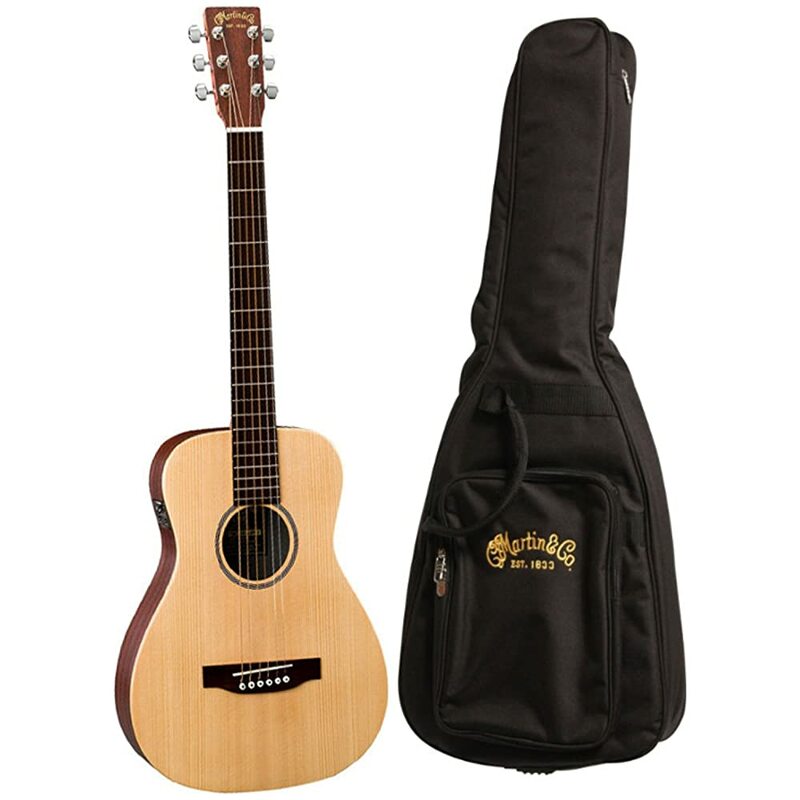 A specially padded bag comes along with your purchase, cementing this guitar as indeed a travel-oriented one; it even fits in an overhead flight compartment. Aside from the padded gig bag, you will not be getting any straps or plugs with this purchase. The sound quality is top notch; in fact, link it up to an amp and the pickup is splendid. A full neck heel helps with stability and control while playing. The high-pressure laminate is indeed durable. Ideally sized for children as well as adults, the Little Martin has proven rather competitive with the big boys. 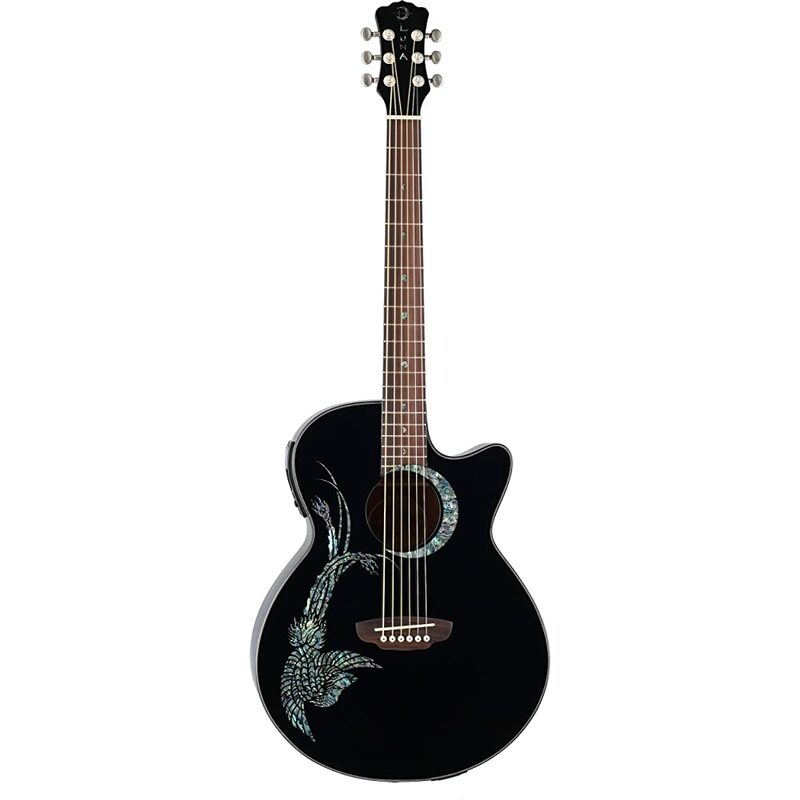 Technically one of the finest acoustic guitars in this price range, not to mention the rather alluring Abalone Phoenix decal on an ebony Spruce top, this is a favorite among musicians young and old. The scale is 25 ½ inches with nut width coming in at 1 5/8 inches. With a combination of rosewood and mahogany for the neck and all-mahogany for the sides and back, this guitar stands limned in its folk-style cutaway. When you are out shopping for the best beginner acoustic guitars under $500, make sure that you choose the instrument with the best sound and comfort; these are crucial for long-term use and value for money. Tuners are just as important, and if your guitar selection (even if it belongs to our shortlist above) lacks a truss board, then you cannot genuinely calibrate the strings. If the other features on that guitar impress you, then see how you can get a truss board added at a music store. The ideal guitar in the dollar-500 price range should serve you for years, not just months. Granted, they are not high-expense but still cost a pretty penny. Make sure you have replacements and extras for tuners and strings in case of emergencies and see if the guitar of your choice is portable and lightweight. These and other factors work toward helping you accomplish high playability and long-term sit-and-play comfort. If your guitar happens to look as good as it delivers (on sound output and ease of tuning), then you need look no further. Taylor GS Mini Mahogany Acoustic Guitar Review: The Mahogany Magic!